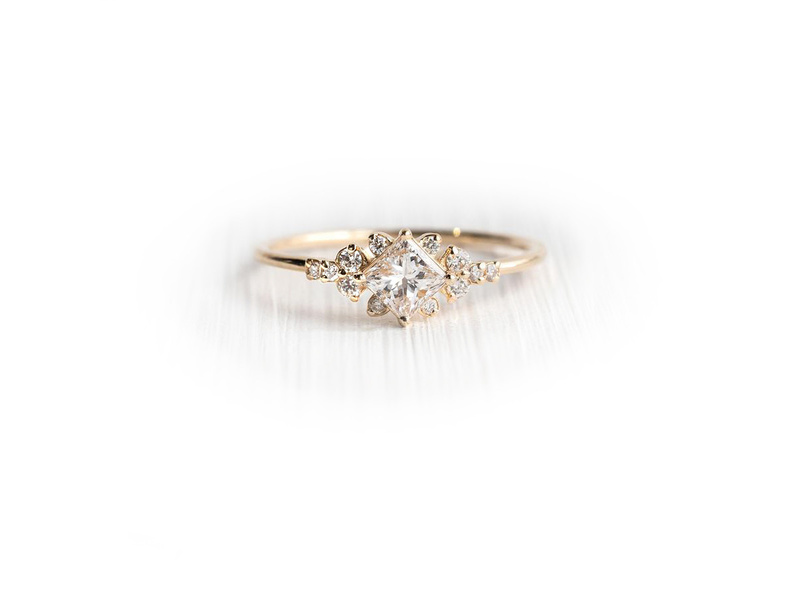 Stargaze diamond cluster ring, delicately set in 14 karat yellow gold. Designed by Melanie Casey. Center Diamond: 0.39, D/VVS2 (Princess Cut), GIA certified.